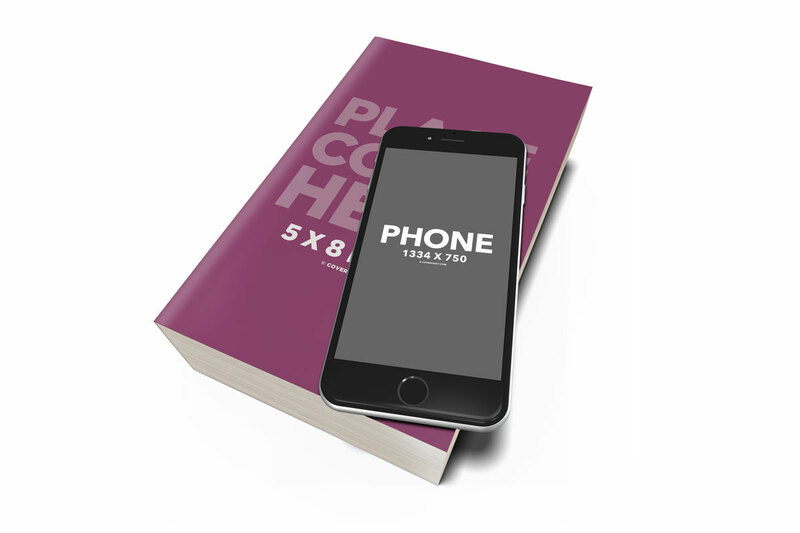 Paperback novel on table with iphone mockup. I went all the way through the tutorial and did not see anything about the iPhone that you so kindly made available today. Am I correct in assuming you got the photo into the slightly rotated iPhone mockup using the transform command under the Edit tab in Photoshop? 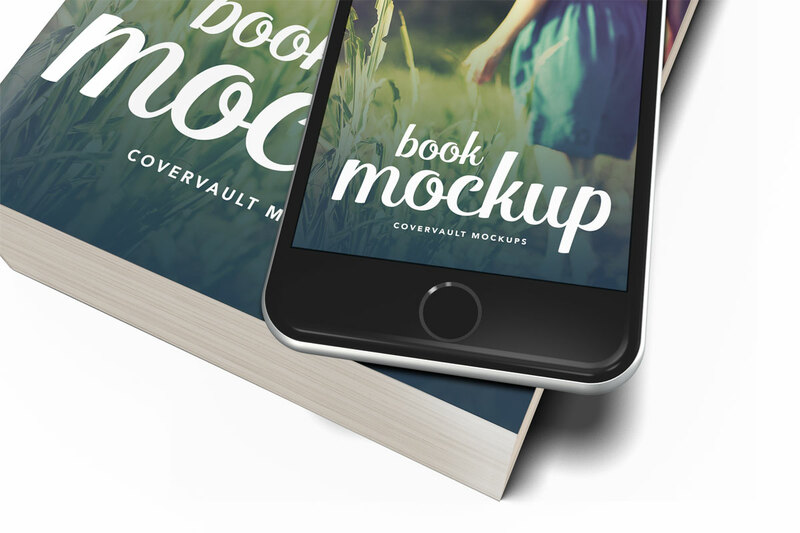 Are you going to make actions for these mock ups live Coveraction Pro? I submitted this question on a previous post however I can’t remember which mock it was for. lol. Your actions for photoshop are amazing! Thanks for all you do. I’m moving away from Action scripts right now and placing all my focas on PSD files. Thanks so much for this brilliant mockup! It’s perfect for what I need. Super easy to use, too. Thank you so much for these mock-ups, and for being generous in sharing them with us. I have a question about the box-sets. What is the best way to get definition between the spines of each individual book? I’ve tried a few times and I just can seem to get my artwork to lay right. Hi, Mark – these are brilliant; thanks. One query – when I paste into the mock up, the main image matches the angle of the book/phone perectly, but any text (title’author etc) remains stubbornly horizontal. And I’ve flattened the original etc. Any thoughts? This is so beautiful! Thanks for sharing, Mark! Mark, these are amazing! Because of you, I saved so much time in trying to figure out how to make our book event/signing flyer pop!! I can’t thank you enough for making these designs free to use and for sharing them with us!! Truly appreciate it!! Big thank you! great mockup variants! Beautiful Cover! Thank you so much. Thanks for the wonderful mockup, Mark! I use Pixelmator rather than Photoshop as my requirements don’t justify the price tag, and it doesn’t do smart objects so this is my workaround: turn off all layers except the book cover layer I’m working on, paste in my book cover (which creates a new layer), use the Transform command to make my cover a bit smaller, use the Transform/Skew command to pull it around until it fits perfectly over your layer, turn your layer off, turn all other layers on, and voilà! Your logical layer organization made it easy. Great job, Mark! I appreciate the work you put in to make these. You’ll find your work used extensively for @VoloPressBooks. Thank you! Thank you so much for the wonderfull mockups…really useful. And again: Thank you, Mark! Love it! Thanks so much, Mark! As ususally, your mockups are perfect. Thanks a lot! Love, love, LOVE these! Thank you so much, Mark! Love these mockups! So easy to use.